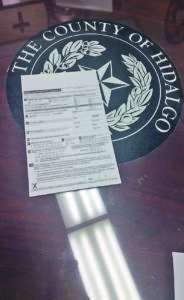 EDINBURG — Hidalgo County elections officials are working diligently to identify voters who may need to verify their citizenship following an advisory from the Texas Secretary of State’s Office last week. 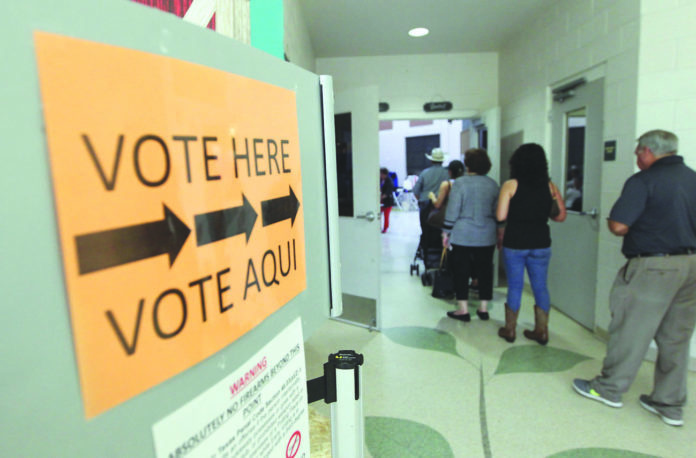 The past few days have been a whirlwind for election administrators across the state who received notice last week that some of the registered voters in their respective counties might not be U.S. citizens, and those in the Rio Grande Valley are no different. Hidalgo County Elections Administrator Yvonne Ramon said her office received the notice, along with a list of 3,311 potential non-citizens, at about 4:57 p.m. Friday. Since then, her staff have been combing through the list to figure out exactly who they should send a letter of examination to in order to verify their citizenship. “We had been told they were working on this, but we certainly weren’t expecting this to come out at the same time that everyone else was informed — not giving us any time to do our part, which is to research our list and identify what exactly is happening,” she said about the abrupt advisory that was sent to elections officials and the media alike, with little to no warning. Since the initial list was sent, however, changes have been made. The county was left with just under 2,000 voters to examine more closely before sending out the letters. “These voters have to be checked one at a time. We literally have to open up their file, check their voting history, check their applications,” Ramon said. On Monday and Tuesday, she had five employees verifying the list, but with May elections around the corner, she could only afford to have one employee review records Wednesday morning. That’s also the reason that Hidalgo County, like Cameron County, is holding off on sending the notices to voters. In Hidalgo County, the elections office is working with an official from the U.S. District Court that specializes in naturalization services. “She has given us a number of over 5,000 people that have become U.S. citizens within the last five years,” Ramon said. “So she feels that some of these voters are in transition. In Cameron County, elections officials are using technology that has already allowed them to verify citizenship for about 300 voters, and they are also working with immigration advocacy groups to whittle down the list, which went from about 1,600 to 30 to 1,600 again. Officials there have expressed frustration at the ever-changing figures the state is sending. Ramon, who was initially shocked at the news, now sees it as an opportunity to help clean the voter rolls. And while there’s no timetable on when the county will send out the letters of examination, she encouraged anyone who might receive one to not shy away.